The 2016 Mazda CX-9 was recognized as the Best Midsize Crossover SUV by the editors of Digital Trends in a list that highlights the best crossovers in the market that blend car capabilities with utility. CX-9’s “KODO — Soul of Motion” exterior design cues set it apart from the competition, and its appealing interior complements what’s on the outside. 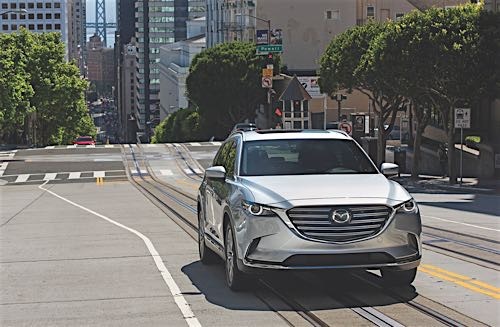 Just as important as the design, CX-9’s engineers were dedicated to delivering an all-new powertrain for the 2016 model year that resulted in a turbocharged version of the 2.5L SKYACTIV-G engine. Digital Trends calls the modular platform and available all-wheel-drive system “stellar” and one worthy of “primetime” attention. Using SKYACTIV technology, Mazda engineers were able to pare more than 250 lbs. from the CX-9 versus its predecessor, allowing 53 lbs. of sound-insulation material to be added under the floor for a more refined experience. With an MSRP from $31,520, the 2016 CX-9 is an example of a midsize crossover SUV that combines performance with practicality without compromising luxury amenities and premium features. The Signature trim level is the CX-9’s grandest expression of this concept, featuring Japanese rosewood trim, Nappa leather and LED-accent lighting. Following its resoundingly successful launch as a 2016 model, becoming the only vehicle to ever win World Car of the Year and World Car Design of the Year awards in the same year, the MX-5 retains its $24,915 base MSRP. For 2017, the only packaging changes include adding Blind Spot Monitoring (BSM) and Rear Cross-Traffic Alert (RCTA) as standard equipment for MX-5 Club models. Previously, these features were exclusive to the MX-5 Grand Touring. 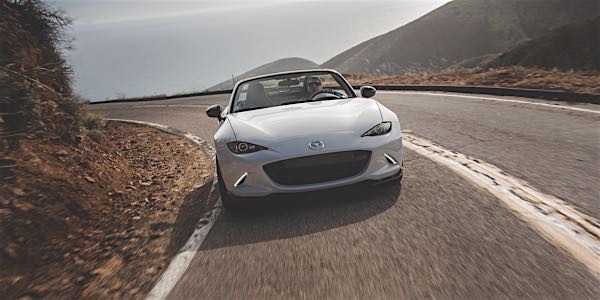 MX-5 Club features a limited-slip differential and shock tower brace in models equipped with the six-speed SKYACTIV-MT manual transmission, a front aerodynamic body extension and spoiler and a Bilstein suspension. Optionally available is the Brembo/BBS package, which further upgrades MX-5 Club models with side-still extensions; lightweight, forged BBS wheels; and front Brembo brakes that have greater heat tolerances in addition to red-painted brake calipers on all four corners. There are three MX-5 trim levels from which to choose, including the entry-level MX-5 Sport, leather-lined MX-5 Grand Touring or harder-edge MX-5 Club. Rather than a typical “good-better-best” trim strategy, Mazda has sought to provide three distinct flavors of MX-5 to cater to different customers.